You just need to spend a few minutes monitoring any any aviation-related topic on social networks to see how active is the aviation enthusiast community (or "avgeeks" as many like to call themselves! ), so no wonder new initiatives are coming up in this field. 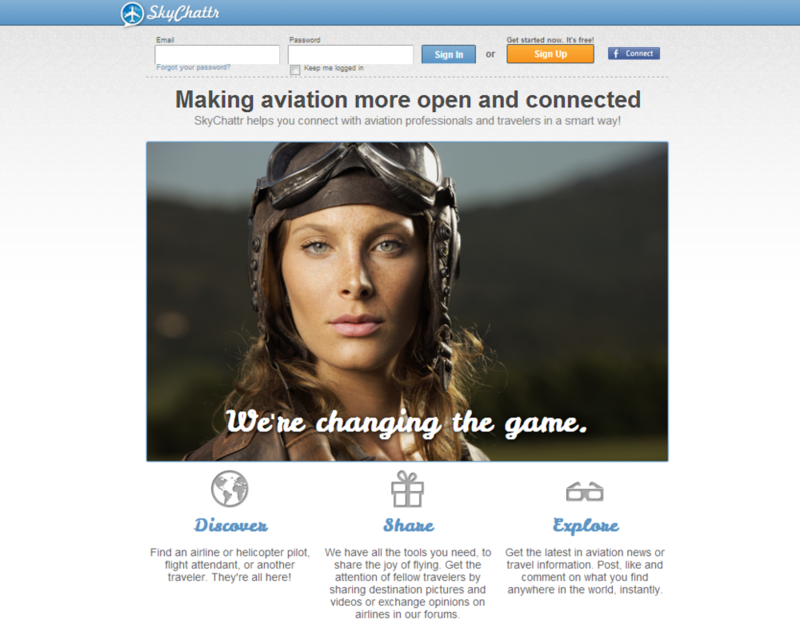 A few weeks ago I presented A Pilot's Eye, a network focus on the visual aspect of aviation, and, more recently, a social site to collect feedback on airline service, today is the turn of Skychattr, a new online social network for aviation enthusiasts. Based in New York City, Skychattr was founded by Wilkinson Egwu together with fellow entrepreneurs Lin and Luke, aims to be an advertising-and-clutter-free meeting point for aviation professionals and enthusiasts to connect with each other. I leave you the cover here so that you can check it for yourselves!